BB Chronological 25: BB #9 – Sphinx! Blitz! Sub! Doc W! BB #9 was the third “non-traditional” issue of Big Bang Comics in a row. By that I mean that it was another issue without a regular BB character featured on the cover or the inside of the book. Erik Larsen’s Mighty Man had starred on the cover of #7 which also contained Shanghai Breeze and the monster story I Met Oogur From Outer Space before the Knight Watchman showed up. Issue #8 had been cover to cover Mister U.S. – a non Big Bang character (although definitely the BB style treatment). 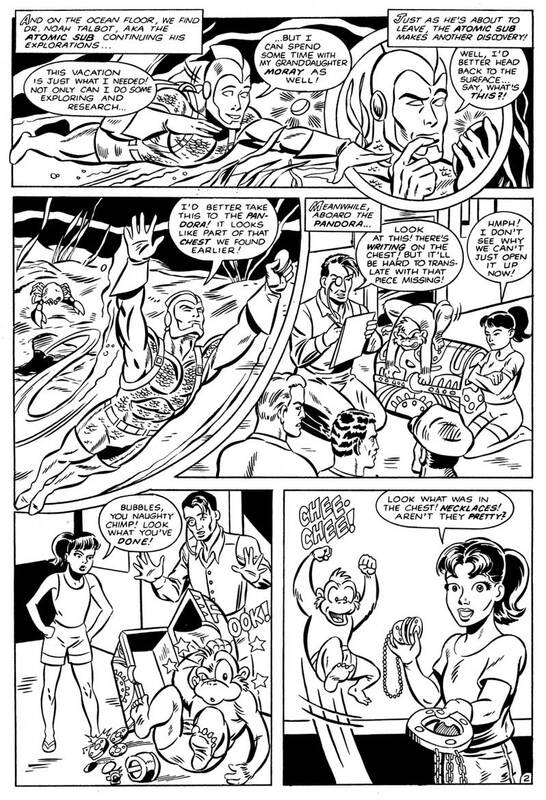 A brand new character, Jeff Weigel’s the Sphinx was the star of Big Bang #9, on the front cover and the lead-off story. Jeff had drawn the Ultiman/Knight Watchman team-up back in BB #3, and I wrote a bit about meeting him six blogs back in BB Chronological #19. 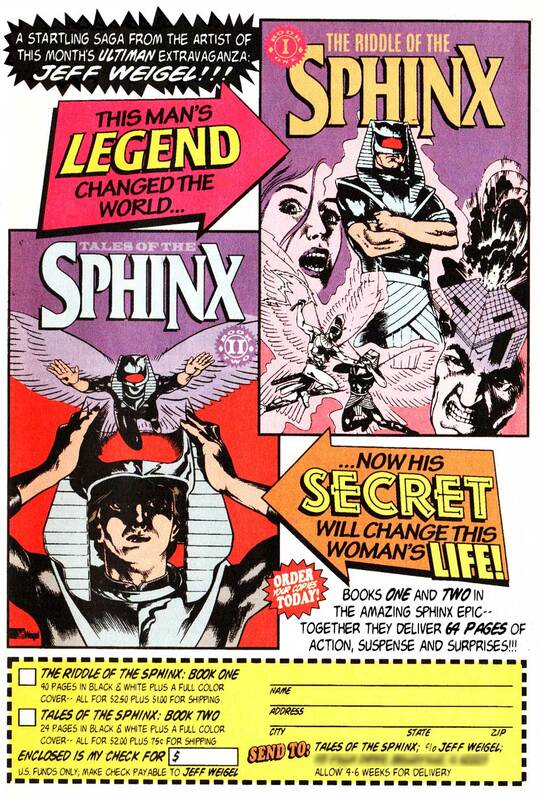 The first art samples Jeff had shown me were two complete Sphinx issues, which blew me away. He offered them for sale in an ad back in #3, but both were later printed as future issues of Big Bang. 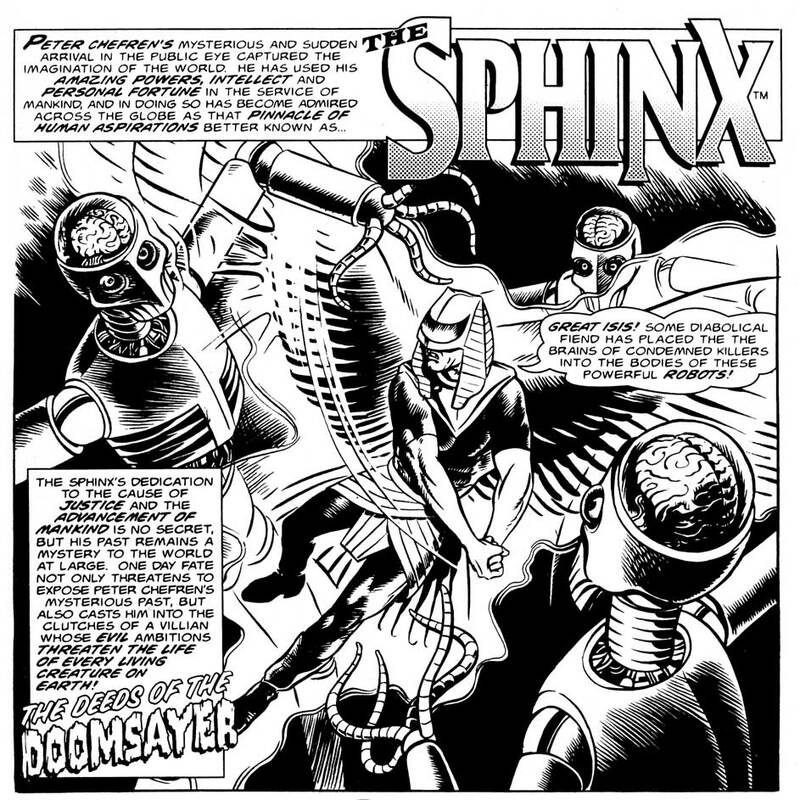 This time around, Jeff wrote a brand new 8 pager, Deeds of the Doomsayer to introduce the Sphinx to BB readers. Being a winged character, we figured that he fit right into the Big Bang continuity as a Hawkman-ish character. The Sphinx was Peter Chefren, originally from a parallel Earth where ancient Egypt had conquered the globe and was now searching for other worlds to conquer. Chefren used his advanced science and technology to block his people from tracing him and locating this Earth, as well as becoming a super-hero and humanitarian. 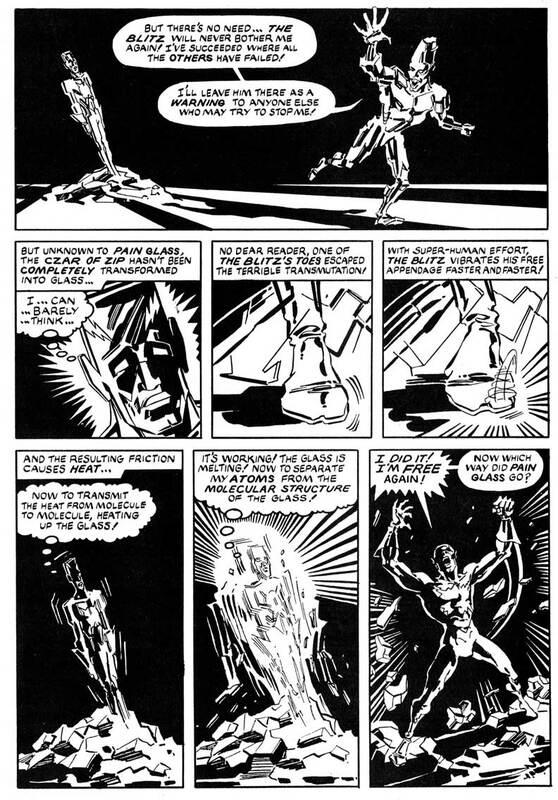 However, a madman known as the Doomsayer developed a teleportation device to kidnap criminals from death row, that also opens a portal to the Sphinx’s home world. Jeff’s writing is as wonderful as his art and he became a mainstay of the Big Bang Gang. In fact, he was the cover artist for Big Bang Universe #3, published by AC Comics, which is on sale right now and recently became the artist on the Sunday Phantom comic strip from King Features Syndicate. The other three heroes featured in BB #9 were long time Big Bang characters that had already appeared a number of times: the Blitz, the Atomic Sub, and Dr. Weird. First up was an awesome adventure of the World’s Fastest Human – – the Blitz! 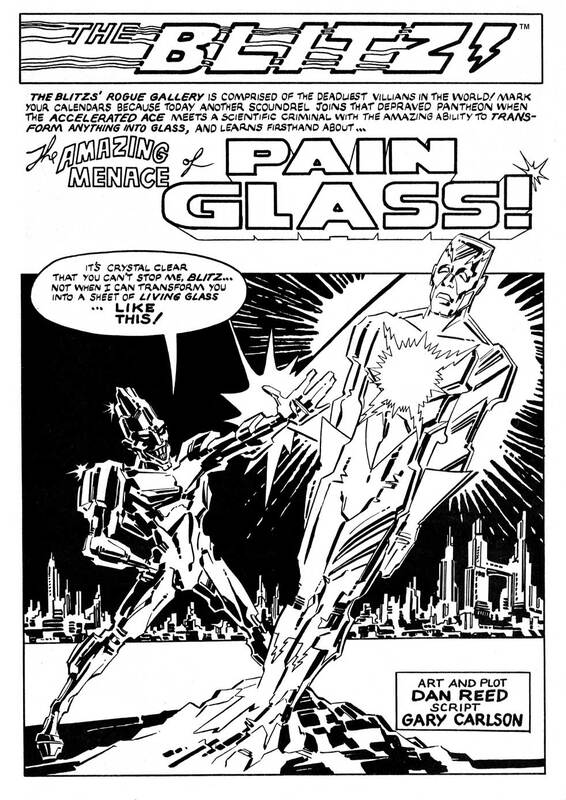 The Amazing Menace of Pain Glass was plotted and drawn by Dan Reed, with additional dialoguing by myself. 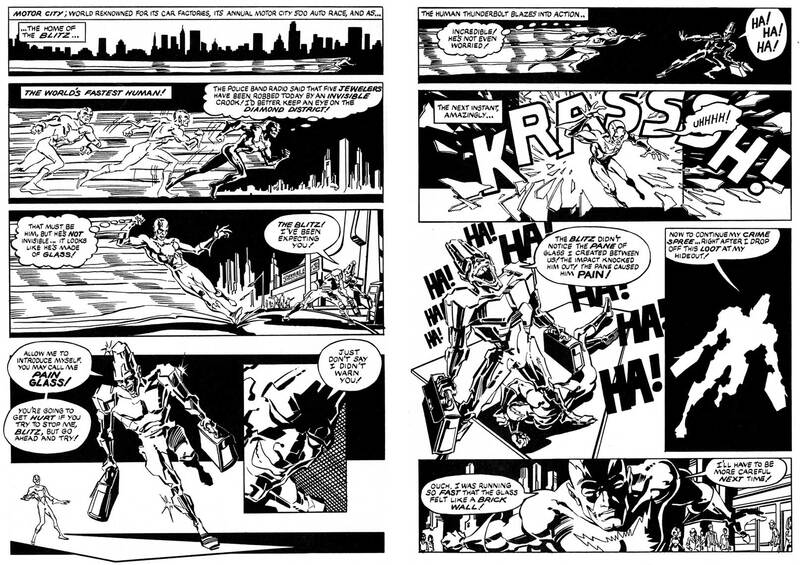 Dan Reed was one of the first artists I had worked with back in Megaton #1 in the early 1980s. He had gone on to do a bunch of work for Marvel UK and others. By this time in 1997, he had been self publishing his own titles, New World Order and Retro-Dead and we had recently worked together on my Berzerker comic at Caliber Press. Dan’s work is always fun, and this little story is one of my favorites from over 25 years of Big Bang Comics. Scientist Elmer Payne was buried beneath molten radioactive glass and transformed into a being of living glass. Adopting the name Pain Glass, he naturally turned to a life of crime. While the art doesn’t scream Carmine Infantino at me, Dan captures the essence of the Silver Age Flash stories in a way I can only dream of. Dan Reed was back a few issues later with a Knight Watchman story before creating the Dimensioneer, which has become his life work. If you want to have some real fun, check out his website at http://dimensioneer.com. While you’re there, check out my old Nero comic strip in the Fabulous Funnies section. 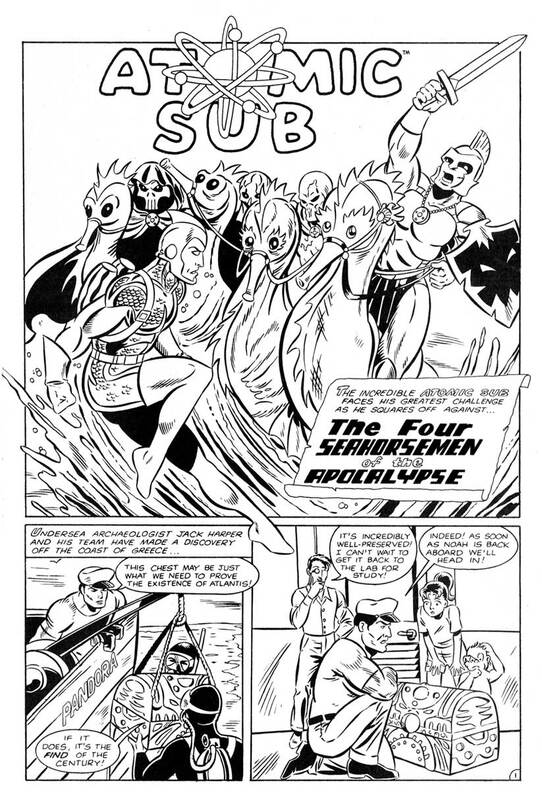 Next up is the Atomic Sub in The Four SeaHorsemen of the Apocalypse. This is the same character that was known as the Human Sub back in the Golden Age. This tale is set in the early Silver Age and features his young granddaughter Moray before she became a hero and joined the Whiz Kids and Bubbles the Sea Monkey. The script, written by Bud Hanzel, features a team of underwater explorers who discover an Atlantean treasure chest. Unfortunately, it contains pendants that transform the four companions into the aquatic versions of the Four Horsemen of the Apocalypse – War, Death, Famine and Pestilence. It’s up to Noah Talbot, aka the Atomic Sub to save the day. The story was penciled by Stephanie Sanderson (Heike), with inks by Mike Matthew and letters by Susan Dorne. I have always loved Stephanie’s art and it’s a shame we didn’t get more work her way at Big Bang. She had her own wonderful style but at that point we were trying hard to ghost specific styles and the loss was definitely ours. Sorry Steph. 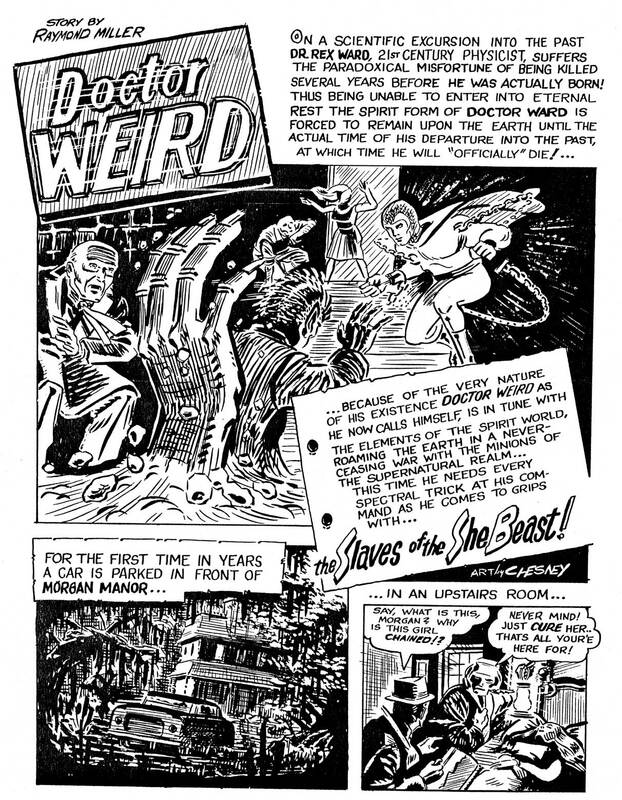 The final story starred Dr. Weird and actually was a reprint from the 1960s. 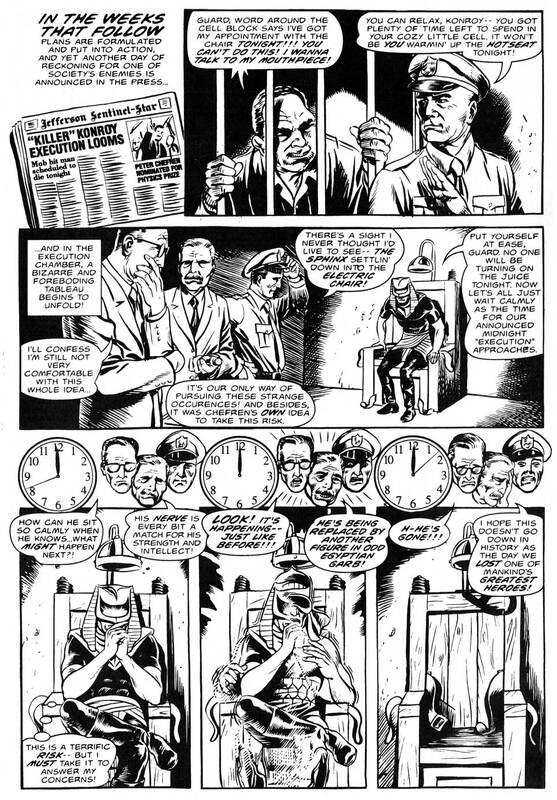 Written by by Raymond Miller, with art by Landon Chesney, The Slaves of the She Beast originally appeared in an issue of Star-Studded Comics. The she beast in the title is a werewolf, who has been kept chained and enslaved by her husband for forty years and now seeks her revenge. 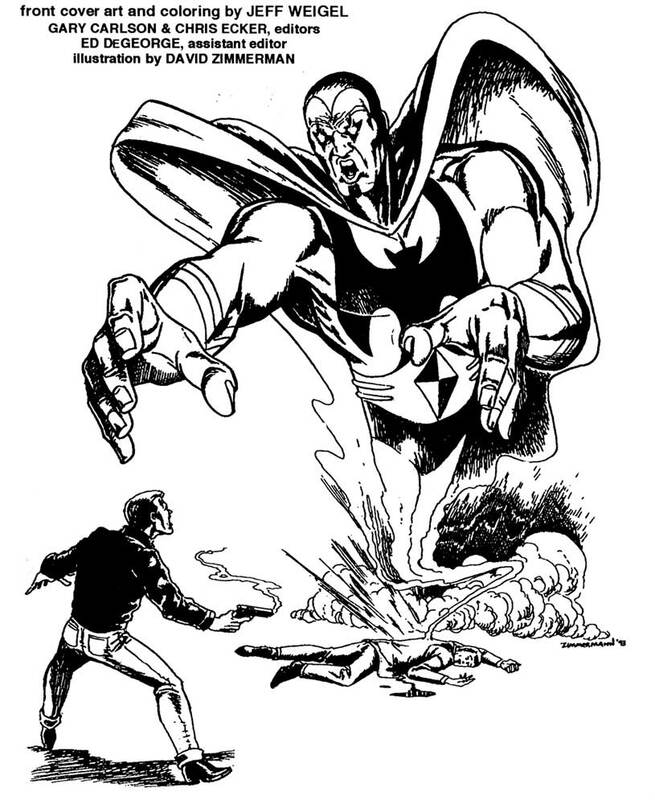 Dr. Weird was also present on the inside front cover in an illustration by David Zimmermann. Once again, I misspelled his name as Zimmerman, leaving out the second N. I don’t know how many times I actually did it but I felt pretty stupid when Dave eventually pointed it out to me. Sorry again for that, Dave. 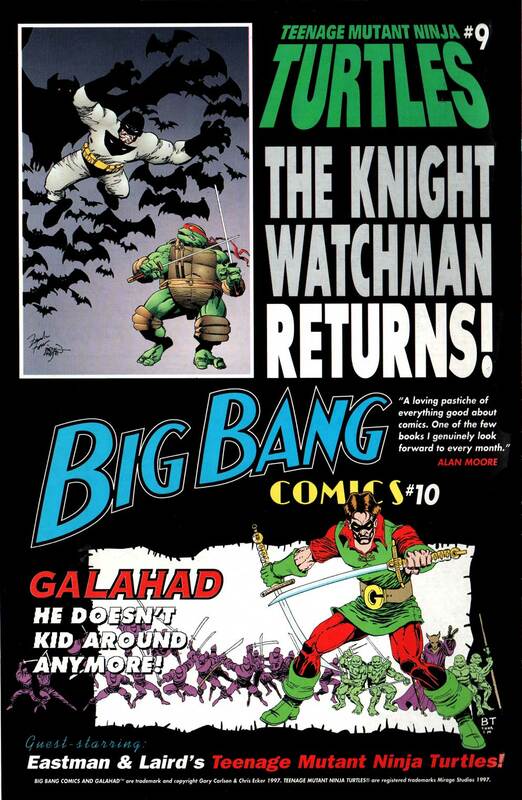 Finally, the outside back cover featured the sort of crossover between two books I was writing at Image in those days – – the Teenage Mutant Ninja Turtles #9 and Big Bang Comics #10. More on those in the next installment of The BANG! See you then. Big Bang Comics and related characters are © and TM Gary S. Carlson and Chris Ecker. Dr. Weird was created by Howard Keltner and is © and TM Gary S. Carlson and Edward DeGeorge. 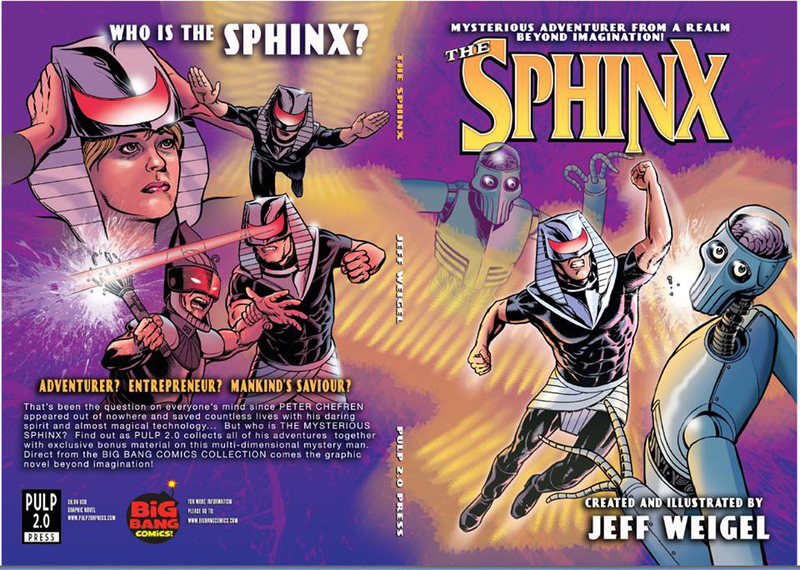 The Sphinx and related characters are © and TM Jeff Weigel.